Waiting for the feather toy! What fun! They are sisters, a little shy but playful and affectionate when they get to know you. It’s a joy to adopt siblings because they have each other and aren’t as likely to get into trouble because they need attention. 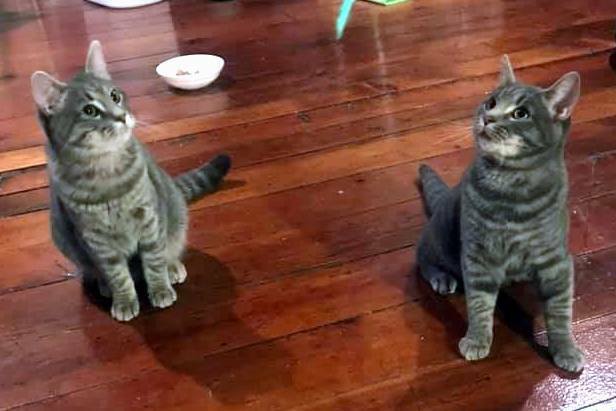 And these two are a little over a year, out of the kitten frenzies, but still young and playful. You can’t lose! Is your house missing a little something that only a double dose of cute can fix? Then let us introduce you to Oodles and Noodles! 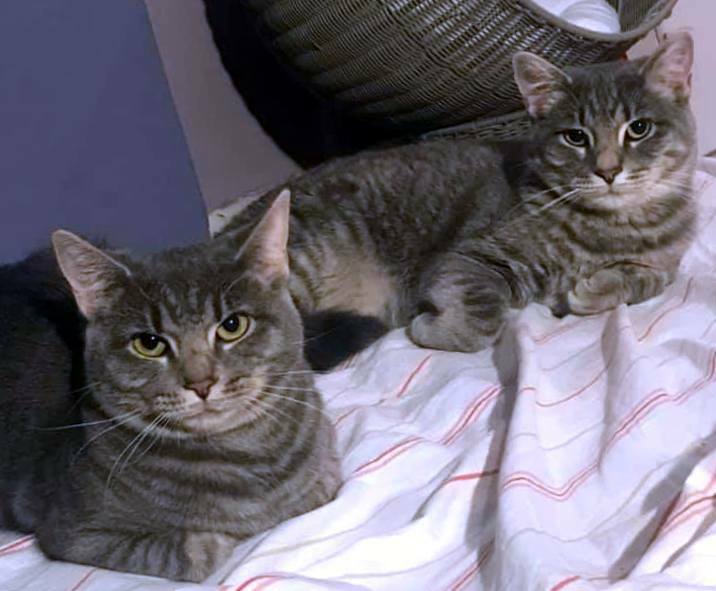 These 15 month old sisters are looking for a forever home in a quiet space. While both are a little shy, they are snuggly, sweet, and affectionate once they know you. Oodles will put on her bravery pants and come looking for pets quickly. Once Noodles feels safe she will be chirping for snuggles and all the belly rubs — and even giving head butts. Imagine these two examining your life. I might have to steal those names too! Adopting two is the bestest wayto go! Manny and Chili Bruce are so very delightful; double the trouble, but quadruple the love and fun! I had sisters years ago who were not buddies at all! But when they are bonded like these two–or my four housepanthers-it’s the best.